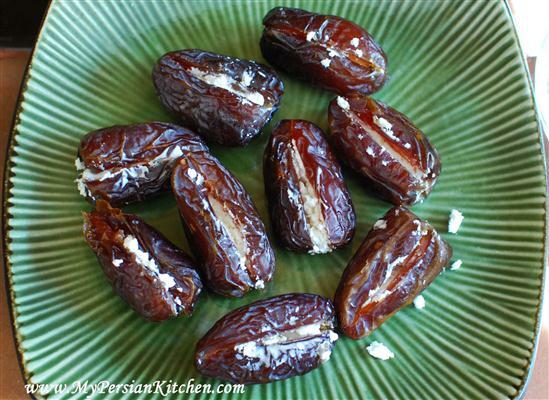 Stuffed Dates are an easy appetizer and each recipe here includes suggested variations. These recipes may call for Medjool dates; they originated in Morocco, and arrived in California in 1927. 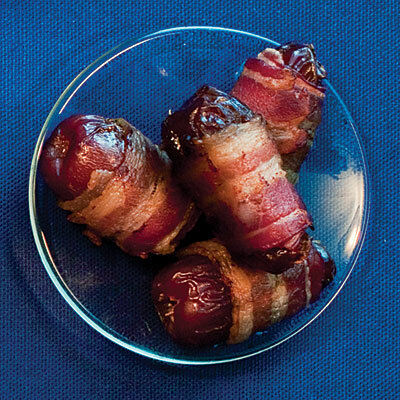 Stuff a slice of water chestnut in each date before wrapping with bacon. Cut bacon crosswise into four-inch (4-inch) lengths. Wrap each date snugly with a piece of bacon, overlapping ends. Place dates, seam-sides down, in a ten to twelve-inch (10- to 12-inch) nonstick skillet over Medium heat. Turn dates occasionally until bacon is browned and crisp on all sides, about six to eight (6 to 8) minutes total. Drain on paper towels. 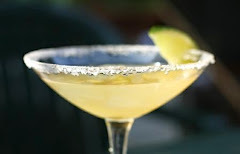 Serve warm or cool. Stuff with Mock Boursin Cheese Spread. You'll have a small amount of extra spread, or increased yield. 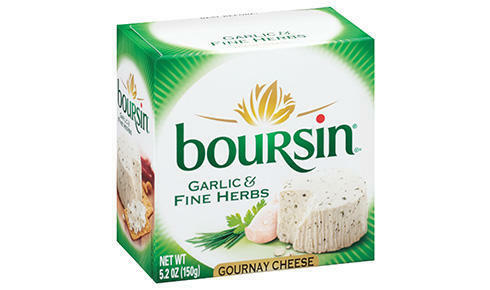 Bring Boursin® Cheese to room temperature. Then, neatly spoon into the pitted Medjool dates. Place on tray and serve. For advance preparation, cover the stuffed dates tightly with plastic wrap and refrigerate for up to twenty-four (24) hours. Bring to room temperature before serving. Stuff with crumbled blue cheese. Stuff each date with feta and place on serving plate. 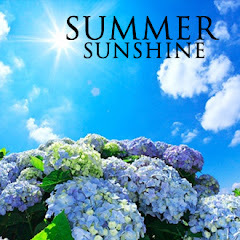 Serve immediately or cover tightly and refrigerate until serving time. 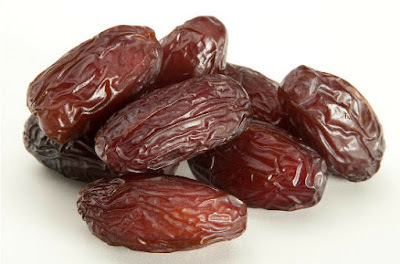 Dates are very nutritious and are an excellent source of dietary fiber (LiveStrong.com). To make slicing the Medjools easier, first place your knife under hot water. Carefully slice dates lengthwise and gently remove pits.Neatness counts in presentation! Medjool dates are available at Whole Foods Market and frequently at Costco. Dried Medjools are more expensive than some other dates; however, you get what you pay for. Medjool dates are sweet, of plump size and nice texture.